2019 MLB Predictions: Will Evil Empires Reign Again? 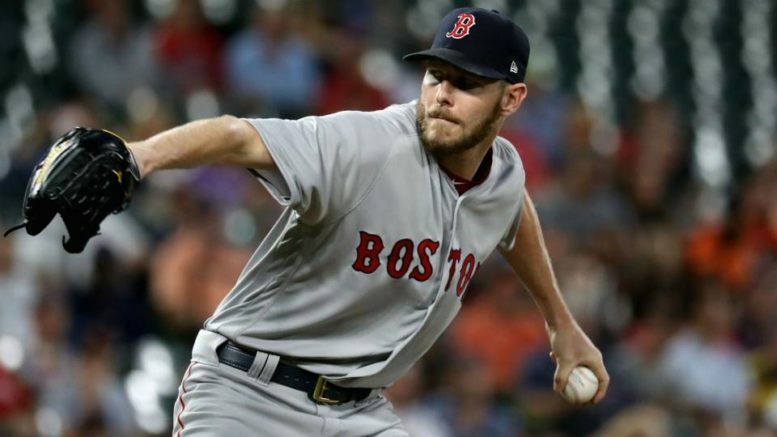 Chris Sale is seeking an elusive first Cy Young award while the Red Sox are looking to repeat as World Series champs for the first time in 103 years. Danger! Danger! I hear the warning signs not to pick against the Red Sox in 2019. I basically flipped a coin between these two last year and landed on the Yankees, with the caveat that whichever team emerged from the holy “Rivalry” would be the World Series champion. Mission accomplished. A loaded bullpen, power bats galore, and improved-enough starting pitching should carry the Bronx Bombers in 2019. What a century to be a Boston sports fan. First, the Patriots break the seal. Then, the Red Sox break the curse. The Celtics and Bruins soon follow suit. 2018 is lather, rinse, repeat. Could a Boston sports grand slam be on the title? Let’s not get too ahead of ourselves, but despite supposed bullpen questions, the Sox are still pretty darn loaded. Once again, if the Yankees don’t meet expectations, the Red Sox will be right there to pick up the slack. I expect the Rays to be competitive, but not 90-win competitive. Things just went too right last year for the tight-wallet Rays. Slight improvement, but still “No, Ca-na-da” for these Jays. Vlad Jr. will be exciting once he’s healthy, though. As a lifelong Orioles fan, I have no words. Still, how about a 10-win “improvement” in 2019! They simply aren’t as good as in 2018, but no one in the Central wants to catch them. Oh-so-close for the Twinkies, but no cigar. All the fat contracts have taken their toll, and now Michael Fulmer is done for the year. Ouch. Losing Salvador Perez for the year is even worse news for the Royals. Hard to believe they held a World Series parade just 40 months ago. No one is going to challenge the Astros in the West, which could actually be detrimental when the team faces the heavyweights in October. Some improvement, but still not enough for the Halos. Kudos to Mike Trout on his bank-breaking deal, though. Moneyball is hard to sustain these days. The Mariners were sitting pretty until late last summer. Now, somehow, it’s yet another rebuild in the Pacific Northwest. One strike away from a title in 2011, this franchise has gone south and things aren’t looking particularly bright at the moment. Is the Bryce Harper addition the missing piece? The bullpen was awful down the stretch as the Phillies faded, but a number of veteran additions and the law of averages getting to the Braves should be enough to push the Phightins’ to the top of the division. Things went very well for the young Bravos in 2018, but can they repeat their magic? Adding Craig Kimbrel would help, but this club might be due to take a slight step back in 2019. I think it’s actually addition by subtraction for the Nats losing Harper, but this team still lacks the intestinal fortitude to be a true contender. The Mets fixed some holes, but they had too many to begin with. Nope, I’m not being generous enough to the Fish to have them under 100 losses. Yes, after three failed playoff seasons (yet in typical Cards fashion, winning seasons no less) this is the year St. Louis breaks back through to the top of the Central with the big-impact additions of Paul Goldschmidt and Andrew Miller. Things apparently went badly for the Cubs in 2018, with a scuffling offense and up-and-down rotation. And yet, they won 96 games. Things aren’t as bleak as they seem. This is still a playoff team. The Brewers came painfully close to a Fall Classic appearance last year, but what are the odds the bullpen can carry them through again, not to mention Christian Yelich having another MVP season? The Pirates are always churning out young talent, but like the Rays, are too cheap to really be in the hunt. Improvement, but not nearly enough in the loaded NL Central. The Dodgers will figure out a way, even with injury concerns surrounding Clayton Kershaw. Time to take a step back for the Rockies, who couldn’t take advantage of having great starting pitching for once in 2018. My one big stretch, Manny Machado helps leads the Padres close to .500. This team missed a big chance a couple years ago and now has an uphill battle. It won’t be a happy farewell season for Bruce Bochy (plus, it’s an odd-numbered year, anyway). AL WC Game – Red Sox 5, Rays 4. JD Martinez breaks Tampa’s little hearts with a walk-off single after Tampa ties it late. NL WC Game – Cubs 7, Braves 3. No offensives woes this time around for the Cubbies as Anthony Rizzo and Wilson Contreras homer to back a strong Cole Hamels. ALDS – Yankees over Red Sox, 3-2. I’m flirting with danger two years in a row, but no “New York, New York” blaring in the Red Sox’s clubhouse after this series. Aaron Judge belts three homers in the series, including a game-winner. ALDS – Astros over Indians, 3-1. The Indians get a game this time, but too much Jose Altuve is the difference. NLDS – Cardinals over Cubs, 3-1. It’s revenge time for the Redbirds as Andrew Miller regains his 2016 ALCS form and Matt Carpenter homers twice. NLDS – Phillies over Dodgers, 3-2. The Phillies finish the job in LA to meet the Cards in the NLCS, with not Bryce Harper but Andrew McCutchen getting the big hit in Game 5. ALCS – Yankees over Astros, 4-3. Flip the script from 2017 as the Yanks’ starting pitching rises to the occasion to outduel the Astros’ mighty arms. Gleyber Torres nabs MVP honors. NLCS – Cardinals over Phillies, 4-2. Too much of NLCS MVP Paul Goldschmidt keeps the Phillies just short of the Fall Classic. Yankees over Cardinals, 4-3. The Bombers rally from down 3-2 in the series with dramatic home wins in Games 6 and 7, riding the torrid bat of Series MVP Judge. Aroldis Chapman shuts the door in Game 7 over the team he owns. Be the first to comment on "2019 MLB Predictions: Will Evil Empires Reign Again?"